Jim Collins, Ph.D., known as “Redtail,” is a wisdom-keeper in the lineages of both the Lakota Sun Dance tradition and the Laika shamans of Peru. He is also an ecopsychologist, self-mastery coach, master gardener, sustainability activist and former psychotherapist whose extensive experience spans nearly four decades. 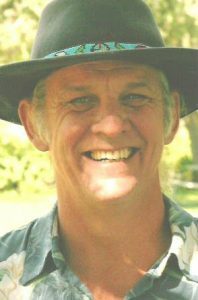 Redtail has led numerous workshops and retreats for more than 25 years encompassing a variety of topics, including sustainable organic gardening, permaculture, seed saving, wilderness survival, epigenetic medicine, ecospirituality, self-mastery and nature awareness. In addition to his coaching practice, he is co-founder and former garden manager of the Community Teaching Garden at Shasta College in Redding, California; serves as a consultant to community garden and mini-farming projects throughout the region; and manages a quarter-acre intensive organic permaculture garden at his home in Redding where he and his life-partner Pamela have been producing most of their own food for the past decade and regularly contributing to local food banks.